There are so many wonderful Pagan vendors in our world right now, and sometimes it is hard to keep up with the things that make each business owner special. Metro Detroit Pagans have long been adventurously discriminating in their tastes and exploratory in their hunts for the new and finely crafted fare. The Detroit Paganism Examiner is inviting you all to take a tour of some businesses you may not know about yet, but should definitely keep on your altar of the electronic messenger servitors (also known as the computer online purchasing programs). We are leaving the lands of the fresh water seas to brave new waters. We’re not in Cass Corridor anymore. We begin this series with an audience with a visit to the New England realm. Gather your traveling shoes and get ready to discover someone new. Let us begin. So, tell us, who are you and what is the name of your business? I go by the name of Loona Wynd. I’ve been a practicing witch for over 15 years now. My practice is always growing and developing. I currently am studying the Feri Tradition with Vee Dub Though I am also studying and exploring Hoodoo and Germanic style witchcraft. I intend to explore many other magical practices from Ceremonial Magic and Grimoires, to Kabblah, and possibly Egyptian and Greek Witchcraft/Magic. As I explore these practices so will the products and services my business provides grow and develop. My business is called Mystic Echoes. The store opened in August of 2013. The store does not reflect any one specific path or practice, but is open to any paths and practices. The goal of our store is to have something for everyone and to be able to help people develop their own spiritual and magical paths. Our current products are a mixture of Hoodoo and witchcraft practices. What would you say your company culture or view is all about? Our main goal is to provide simple effective and ready to use products for any and all magical and spiritual needs. In this day in age, not everyone has the time to study herbs and to make oils and incenses. It is for these people that we have crafted these items. We wish to provide quality materials for any magical and spiritual practice so that those with little time can get the most out of their practices and time. Each incense, powder, tincture, and oil comes with a list of the herbs in the mixture. This ensures that all allergen information is available. The labels also include information on usages to provide practical ideas on adding simple and effective natural magic to your everyday life. Our goal is to bring a little bit of magic into the daily lives of anyone who wants to try magic. Too many books on the market make spells and rituals very formal and ritualized when that was not always the case. In some cultures mixing a few herbs and sprinkling the powder while thinking about your intent was enough to cause a spell. No circles cast no deities invoked just pure natural magic. Magic can be very simple. These simple tricks are being forgotten in today’s world. I want to bring that forward. Each item is crafted with a specific purpose in mind. When crafting the tinctures, incenses and powders extensive research is involved. We look at what has been done before and what the common herbs are and then we make our own inspired blends based on these examples. The herbs are chosen for the mixtures based on need and related items as well as scent properties. Each herb is ground and focused on the properties of the herb. The spirit of the plant is asked to bless the process and add their energy to the mix. As each ingredient is added the mixture is shaken and blessed to be charged with power ready to be used. The tinctures and oils are shaken twice a day during the month steeping process. This continues to charge them and it ensures that all of the oils of the herbs are mixed and saturated in the medium as much as possible. Once they are done steeping they are strained of herbs and the liquid is charged again and blessed before going into the bottles. I sell a lot of herbs.Herbalism is a growing movement out there. People have started to find an interest in the healing and spiritual properties of the various plants that exist on our planet. Every plant has a purpose and use. The herbal packets I sell provide the customer with a bit of information to start developing their own herbal practices. I also sell loose powdered herbal incenses and magical powders. These are designed to be used as spells by themselves or as tools in spells. Each packet contains the herbs in the product (for allergy reasons) and information on possible ways to use the items. This is to also help the customers develop their own unique magical practices and styles. Magical tinctures and magical spell oils are also products that I make. These oils and tinctures like the incenses and powders are designed to be spells by themselves or to be used as spell aids. Each bottle contains information about the herbs and items used in the process (again for allergy information) as well as how to use them effectively. These two products are also sold as smokeless incenses and as perfumes. I also sell a selection of ritual candles. Currently they are LED candles that are best used as altar supplies. However I am looking at having candles in wax available soon. These candles will be charged spell and ritual candles made with a mixture of herbs and essential oils for scent and magical/spiritual properties. There are leather goods that I also sell as well as a small selection of fabric art items. The leather goods include custom leather pouches, heat pads, bookmarks, and bracelets. Other leather products are also in the works. The fabric arts contain currently stuffed beanie dragons and tarot bags. We also have a wide variety of handmade jewelry items. Many of these are Pagan and occult themed. They are blessed and created to be one of a kind items. No two items of jewelry will ever be the same from us. They can be related and or inspired by them but they are not ever going to be exactly the same unless requested to be so. In the future I hope to have lines of bath and body products that will include perfumes, soaps, bath salts, lotions, and even salves and some possible herbal remedies and folk treatments through oils andherbalism. These are crafts that I am just starting to explore and learn about. As I grow confident in them I hope to be able to include them in my store. We also hope to have lines of ritual tools available from blades to wands and other supplies. What inspired you to make this dream real? In the spring of 2013, I was having a difficult time finding work. I was working with a job developer, and with a few other places, trying to find work. Nothing seemed to be working out for me. I later found out that Voc Rehab could help me develop a small business if I put in the work. When I was 15, I knew that I wanted to run and own a metaphysical store. Every one I was in felt like peace and felt like home. I knew that I was a witch and that being a store owner and providing services through my witchcraft was what I was here to do. My fiance’ reminded me of my dream and encouraged me to think about starting on that long process. After doing some research, I figured out what sort of products I wanted to sell and what I wanted to make myself. I went through the long process of taking workshops and came up with an extensive business plan and marketing plan. I was able to get a grant through Voc and the Small Business Development center to start my process. 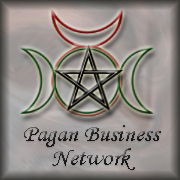 Through this grant I have been able top develop and create a wide variety of products for Pagans, witches, magicians, and those interested in the occult. To say that owning Mystic Echoes is a dream is a bit of an understatement. This is something I have always been passionate about, and am thrilled to be able to do. There are some days that I have a hard time believing that its real and that I really have come as far as I have. None of the recipes I use will ever be found anywhere else. I research several recipes related to the intent behind the product and then I make them my own. I draw inspiration from many sources and have found a few key items in many of them. I believe the best magic is the one that I make myself. Not only are all the recipes my own, but I also actively use all my own products in my own practice. If I don’t use it, I don’t sell it. This is what I mean when I say that all my products have been tested by me. They have been developed from my personal practices and experiences and I am sharing them with you. I actually started to make incenses about 10 years ago. I found that several of the commercial incenses that I used were not going over well with my fiance’ due to his allergies and sensitivities. So I started to make incense for my spells and rituals on my own. As I did research, I started to find out that many of the incenses and oils available on the market that I had been using were all synthetics. So with that in mind I knew I needed to focus on all herbal items in my home for the future. I started to sell them in 2013. It was my fiance’ that reminded me of how effective my herbal incenses and workings were for him and others, as well as my dream. So I created a test market of incenses, tinctures, and herbs. Sales went so well at our first event that I was able to get the grant and have been able to develop much further. What is your best beloved item by your customers so far? My “Mental Strength and Clarity” tincture is a very popular item. It works for psychic development, mental focus, clear thinking, and I’ve heard it can help with physical strength as well. I use it when I am writing or doing work that requires a lot of attention to detail (like posting listing on my websites and writing up product information). The other popular item is my “Dragon Fire Protection” tincture. That item works really well. I have been asked if it will protect from monsters under the bed and the answer of course is yes. What can’t you protect from when you have Dragons protecting you? What would you like more people to discover? I’d like more people to look at the jewelry I make. I work hard on them. They have magical and spiritual themes like everything else. They are designed to be items that channel the various powers and properties into your day to day life in very discreet ways. I’d also like people to see the herbal kits that I have for sale. These kits have been set up to help people discover various herbs that can be used for magic and spirituality in different ways. These kits provide a way for a person to learn basic skills and come up with their own magic and spiritual work. Any magic or spiritual work is always best when it comes form yourself rather than someone else. Where is your primary market base? When it comes to vending at events, my market base is in New England. I am located in Maine. My focus is on finding events in Maine, New Hampshire, Massachussets, and possibly Connecticut. These are locations where travel expenses are within reason for me. Do you service folks all over the nation? Yes. My Etsy store ships both nationally and internationally. For now, unless you are in New England, the only way to get my products in the U.S. or outside of the U.S. is to order through Etsy. It is my hope to be able to attend events outside of New England someday. Tell us, what was the most challenging part of owning your own business? I have found the most challenging part has been actually the bookkeeping. The crafting of the items and the development of products and product lines, while taking time, is easy and often enjoyable. The bookkeeping and administration aspects of the business though are more challenging. On an equal challenge is finding events to attend. Often times it can be difficult to find proper events to vend at. This is part of the administration of the business. As is the marketing. The actual process of putting things out there, managing the costs, keeping track of inventory these are all the parts I find the most challenging for me. Though its also rewarding in its own way. The most rewarding thing for me is being able to help people find something that they are looking for and need for helping their lives get better. More and more people are finding magic and spiritual paths to be ways to deal with some of the struggles of day to day life. Some people come in crisis looking for quick fixes, others are looking to try and get out of situations that they find themselves in over and over again. By being able to help a person find an herb or a spell item which they can use to create change is very rewarding. I don’t consider myself a teacher of witchcraft and magic, at least not yet. However, I am very happy to help people discover their powers and paths through using magical and spiritual practices. Where can we find you business? I’m located on the web in many different places. We have our main website which is always being worked on Mystic Echoes. You can also find us on numerous social media sites such as Facebook, Twitter, Pinterest, and Tumblr. You can buy our products in two locations online right now, Etsy and Squaremarket, and I may be opening a third venue via storeenvy shortly. What have we not covered that you would really like to get across to folks reading this? I am still learning and growing in my craft. I do not consider myself an expert at all. There is always something more to learn. Even the herbs I work with I am always learning new things about them and different ways to use them in different cultures. I may have been practicing the craft for over 15 years but I am only now really learning the simple folk arts and the true beauty of effective natural magic. No ceremony no formal ritual, just me, the herbs and my intent. Magic, witchcraft, and the occult has something for everyone. The crafts are adaptable they are new and ancient at the same time. Bonus Question: If your business had a theme song, what would it be? “Into the Great Wide Open” by Tom Petty and the Heart Breakers. I always felt that the song was about reaching for the sky and making your dreams come true. That meaning still rings true to this day. To explore the magic of New England, visit Mystic Echoes. Taking it back to the essence of where the magic comes from and how it works is a key part of whats Mystic Echoes is about. For an experience in true school products without the prefabricated mind set, this is the place to explore. Break the current custom and stretch out your hands to hold a new enchantment via the power inherent in magic at its essence.